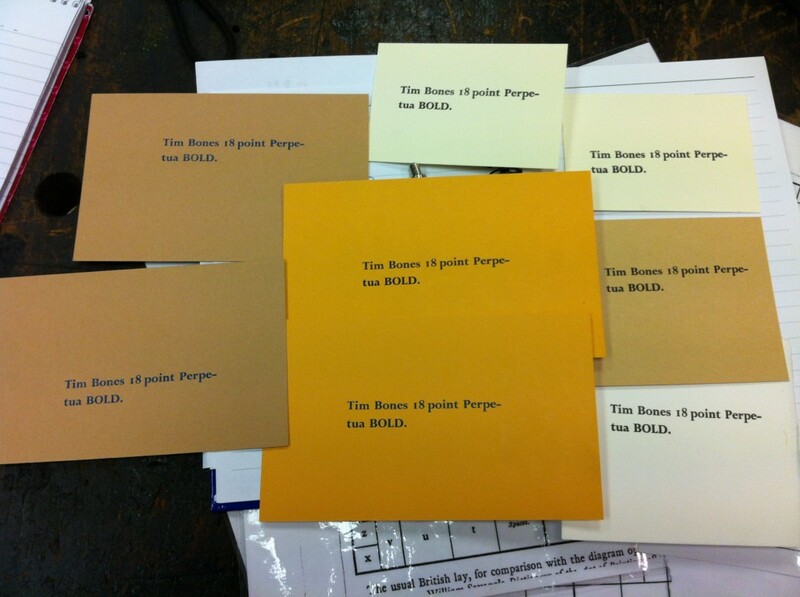 Adana Print Workshop at St. Bride’s, London. couple of years ago I bought an Adana 8×5 from ebay. 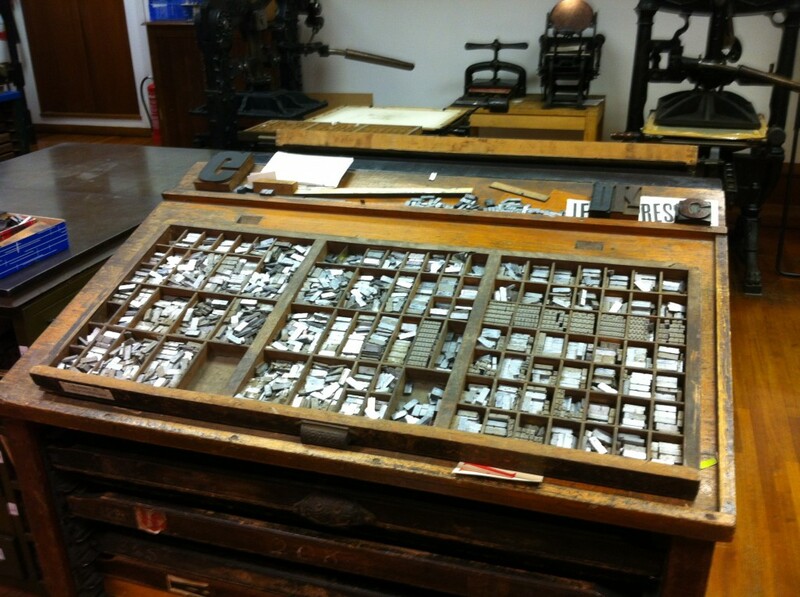 With it came a lot of type, trays and other bits and pieces. Mostly as a result of lack of time, it’s been sat in my garage under covers. But part of the reason for my inactivity was my simple lack of basic knowledge—I wasn’t sure how to use it or look after it. 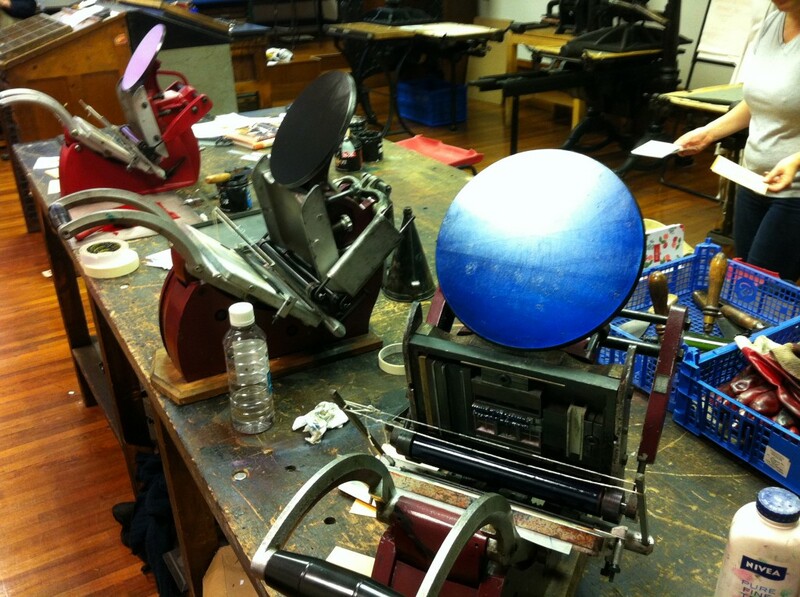 So I set about addressing this problem by attending a print workshop held within the fantastic printing room of London’s, St Bride Library, just off Fleet Street. A group of five us from a variety of backgrounds were cheerfully tutored by artist and designer Helen Ingham. The course was precisely what I needed — it wasn’t a creative course, but a technical one, focusing on the setting and printing of type, along with how the machines are to be maintained. As a starting point, it was suggested that we set our names and the name of the fount we were using. In my case Perpertua 18 point bold. 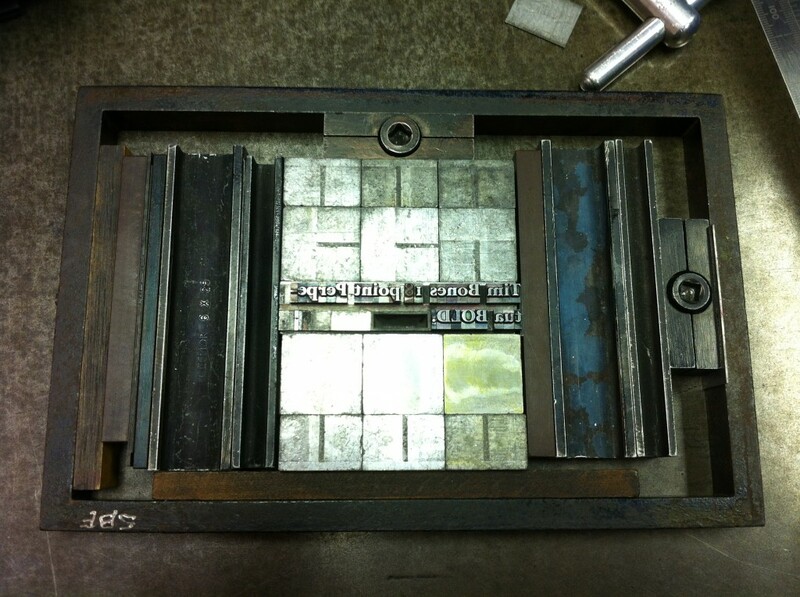 The humble Adana printing press. Setting type in the compositing stick. 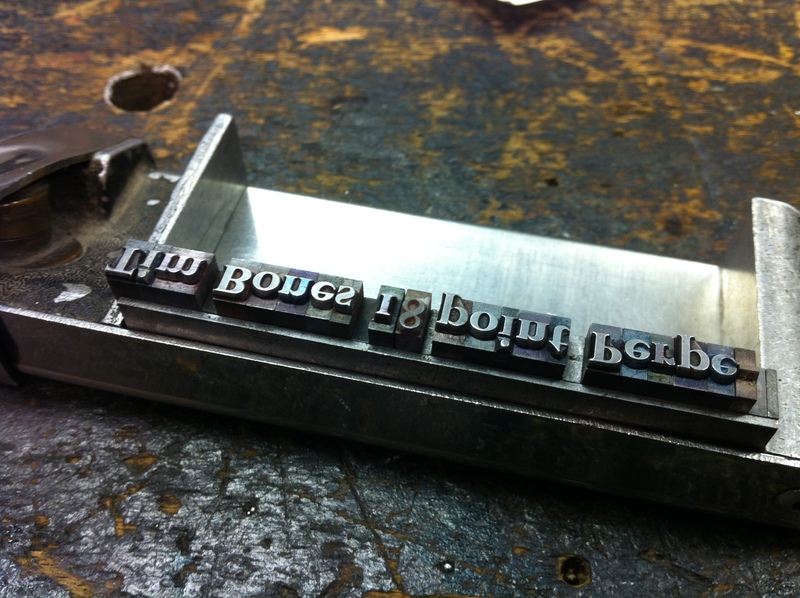 After much fiddling about I managed to set just two lines of type! I then set my type in amongst the furniture and chase. 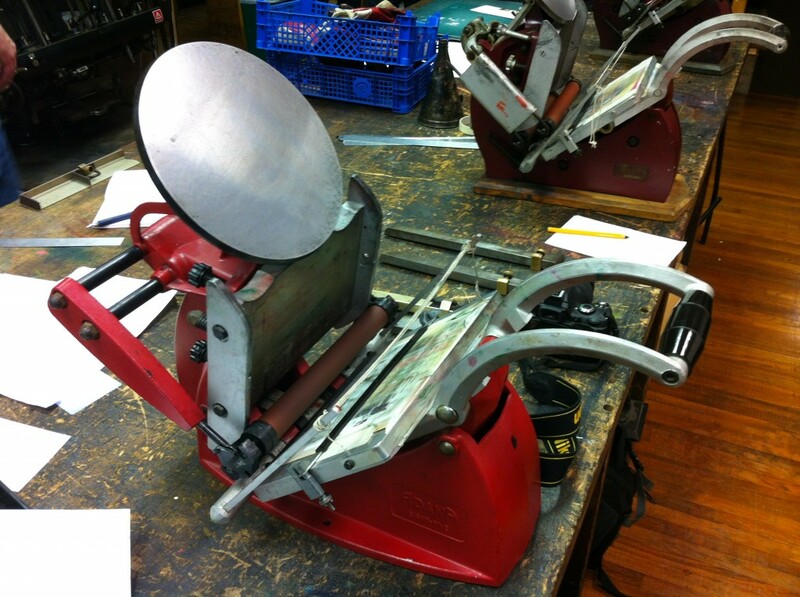 Printing has a rich lexicon of unusual terms. Once done, it was onto inking the plates with rubber based paints. As one might expect, the output was hardly amazing, but we had a lot of fun and I felt that I’ve gained a new set of skills to explore printing as a creative hobbyist. My garage and its contents of printing goodies beckons.